With predominantly neutral contemporary interiors, accent walls are an option to add color, texture, pattern, and visual interest to your living space. With contemporary interiors in predominantly neutral colors, creating accent walls is a useful technique to add color, texture, pattern, and visual interest. As strictly private spaces, bedrooms offer the freedom to try bold hues, patterns, and styles. Furthermore, in a neutral space, accent walls are an affordable way to switch between hot color trends with ease. Note that in small spaces accent walls create an instant focal point. Have a look at some fabulous bedroom designs to get inspiration how to create accent walls that go beyond just offering color contrast. Accent walls offer the perfect way to bring color in any interior. In a neutral bedroom, with a single accent wall, you can easily switch between hot color trends. Add a few accent pillows, matching bedding and accessories and you get the job done. 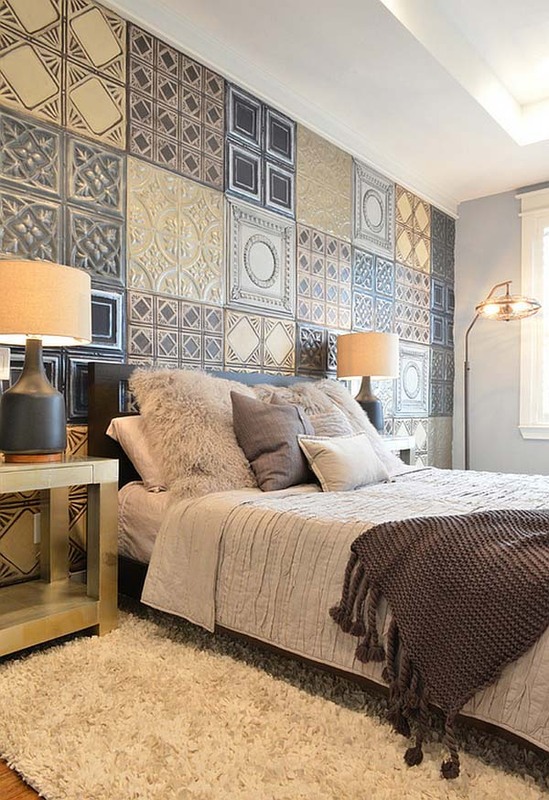 For 2014, top color trends in the accent wall world continue to be gray and purple. 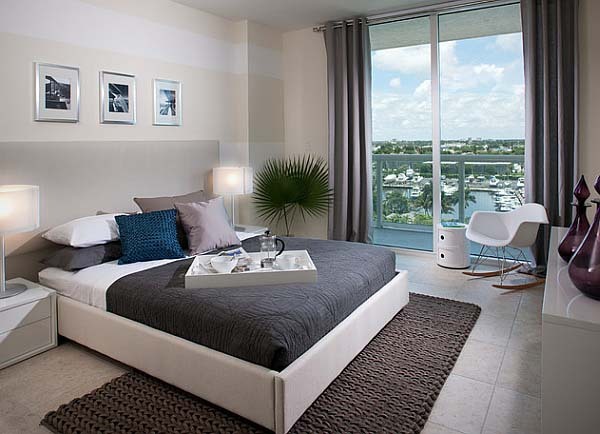 For touches of sophistication, in predominantly white bedrooms use warmer and bolder shades of gray. However, adding an accent wall is not just adding color. Think beyond the composition of various hues and try to bring in different textures and patterns. Exposed brick walls are always an elegant, eye-grabbing choice. You can unleash your creativity and try with some unique options, such as 3D wall art, fully tufted walls, tin tiles walls, and more. 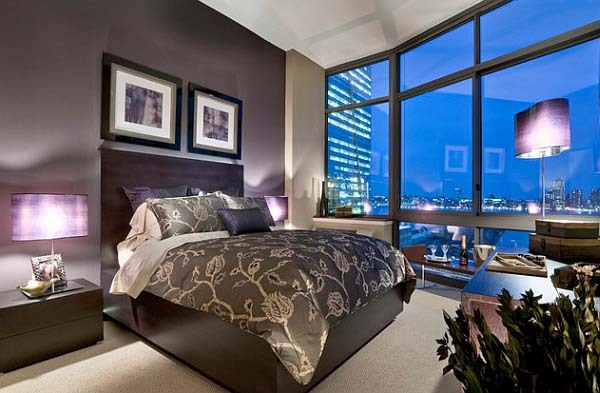 Such accent walls will add personality to your bedroom. Always consider wallpaper. A wallpaper accent wall can add both color and pattern. Furthermore, it is an affordable, inexpensive option, which allows to easily switch from floral patterns to intricate designs to hot trends. For a harmonious, balanced look, add pillows, throws, or duvets with matching prints. However, if you choose a bold, intricate pattern, the rest of the room should be neutral and uncomplicated. Otherwise, it could seem far too cluttered and overwhelming. 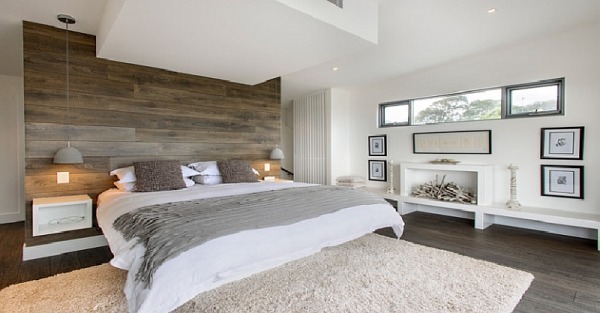 As it brings warmth and coziness, wood is a perfect option for accent walls. Stripes define a room, create order and balance, and can visually trick our brains into believing that a room is bigger than it really is. 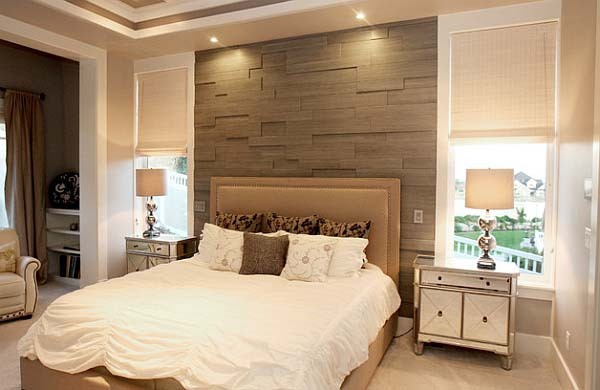 What is your bedroom accent wall style?